A tool to build and manage your own Web3 instance. This package simplifies the process to create your own Web3 instance, change the active wallet, and update the connection to the Ethereum network. This is made possible using building blocks called subproviders. 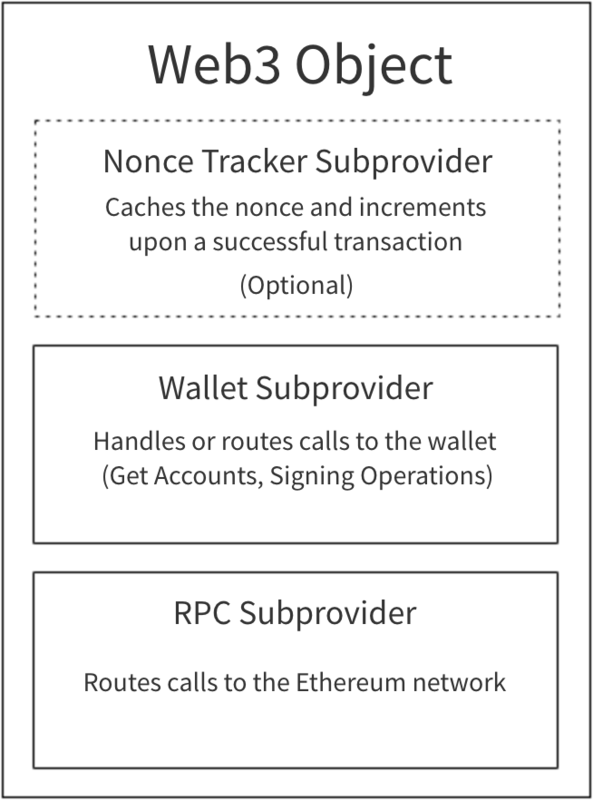 Subproviders are like normal web3 providers, but only handle a subset of RPC methods. They can be used to route, or otherwise handle, RPC calls before returning a result to the caller. If you&apos;d like more flexibility when creating Web3 Providers consider using web3-provider-engine directly. Want to use your own version of Web3? Please read CONTRIBUTING.md for details on our code of conduct and the process for submitting pull requests. This project is licensed under the MIT License - see the LICENSE.md file for details.